Moving Tips Everyone Needs to Know! These Moving Tips Everyone Needs to Know are ones that we have accumulated over the course of nine moves in the last nine years! Recently I’ve had a few friends ask me about my moving tips. It would make sense that they’d ask me, being that we have moved a grand total of NINE times in the last NINE years. We’ve never had the luxury of hiring movers, but we’ve been blessed to have MANY friends help us. Even if you’ve got lots of help from friends these tips will help lighten the workload for everyone. Over our MANY moves there’s definitely some tips that I’ve picked up along the way, and I can’t help but share my moving tips everyone needs to know! My first tip actually comes long before the move even starts. It involves purging and organizing everything you can leading up to your move. The last thing you want to do is move stuff only to sell or donate it once you get moved. It’s also SO much easier to pack an organized space over a disaster. Seriously… have you ever tried to pack a junk drawer? Or had to unpack the junk drawer? 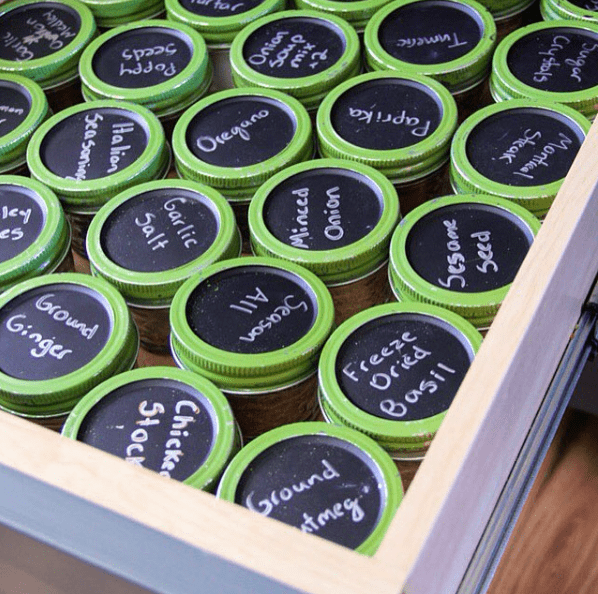 Make it easier on yourself by organizing. Most moves I don’t start packing until two weeks before the move, but at that point I’ve already donated and organized every space. Moving is a stressful time, don’t make it more stressful than necessary by dealing with change of addresses before you move. 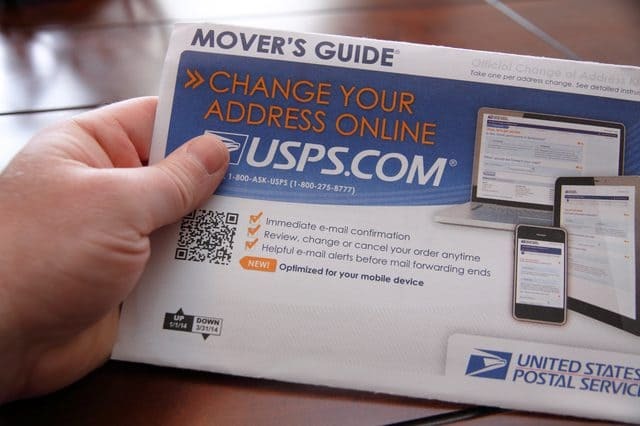 As long as you complete the USPS mail forwarding packet your mail will make it to your new house. Then once you’re settled you can deal with changing your Driver’s Licenses and updating your new address everywhere. I always pack home decor and frames first, and unpack them last. These are things that are mostly non-essential for life, but take a long time to pack and unpack. 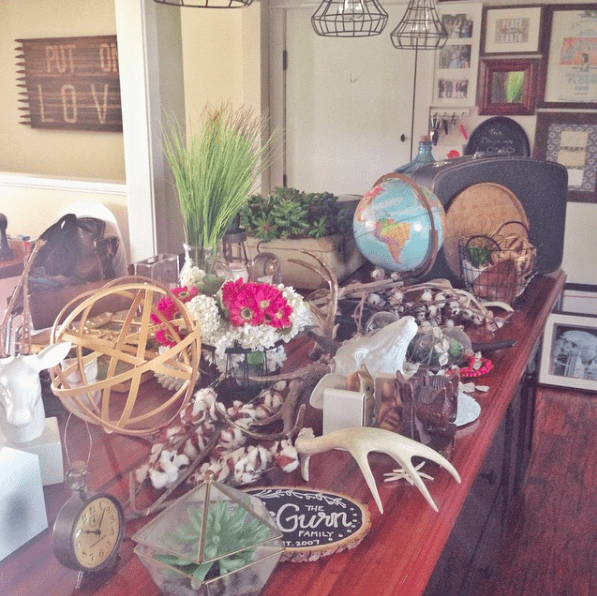 Here’s my strategy: I walk around the ENTIRE house taking all decor and art and bringing it ALL to the dining table and kitchen counter. Then I get it all packed up together marked “Decor”. This way when you get to your new house it can get stacked off to the side, and you can deal with it all once you’re ready. I also love this method because when you get to your new house you can re-invent which rooms things go into and get creative with your decor in a new space. I aways set aside a few laundry baskets labeled “First Day, Don’t Pack” during a move. Start by tossing in some toilet paper, cleaning supplies, and paper towels into. These are the baskets that you will put your bedding in when you strip it. While packing this is where you’ll throw the things in that you can’t be searching for on your first night in your new house! Things like phone chargers, pet food, your purse, or your kids school bag! These baskets end up traveling by car to the new house with you. 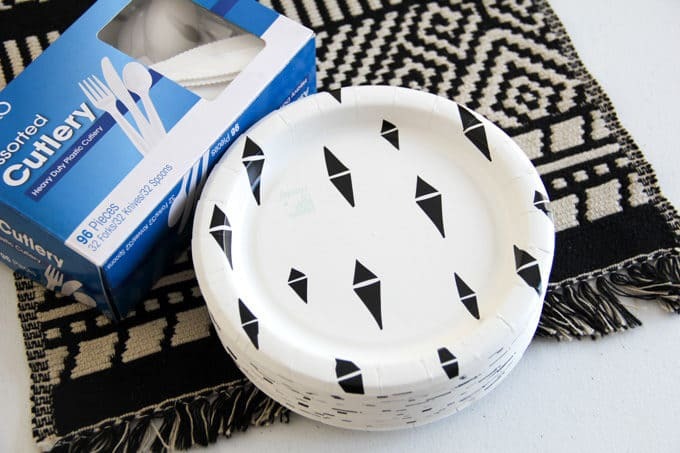 Because you don’t want to wait until the last minute to be packing your kitchen, go ahead and pack the kitchen early, and then survive the final week or two before you move using simple meals with paper plates and plastic utensils. During this crazy time in your life you’ll also appreciate not having to worry about doing dishes. Make sure these get thrown in your “First Day” laundry baskets for your new house so that you don’t have to unpack your kitchen immediately when you get there! Don’t worry about writing what is in each box, only which room it goes to. That way your moving help knows where to take it. Most likely you’ll be unpacking the entire room at once anyways, rather than searching for one item. Get a tape gun. It will make taping boxes a one person job instead of two. It also means that you don’t have to try and keep track of tape AND scissors! I’ve always used packing paper and recommend it for protecting your fragile stuff. Last year I learned that most newspapers give away the “end roll” of their paper, which turns out to be a HUGE roll of paper perfect for packing with. The end roll I got last time weighed close to 100lbs. It gave us enough paper to wrap everything really well, along with supply my friend enough coloring paper for the rest of her kids lives! I know that there are many places to get assorted free boxes, but my advice is to skip the free boxes and buy a couple sizes of uniform boxes. Mostly small ones. 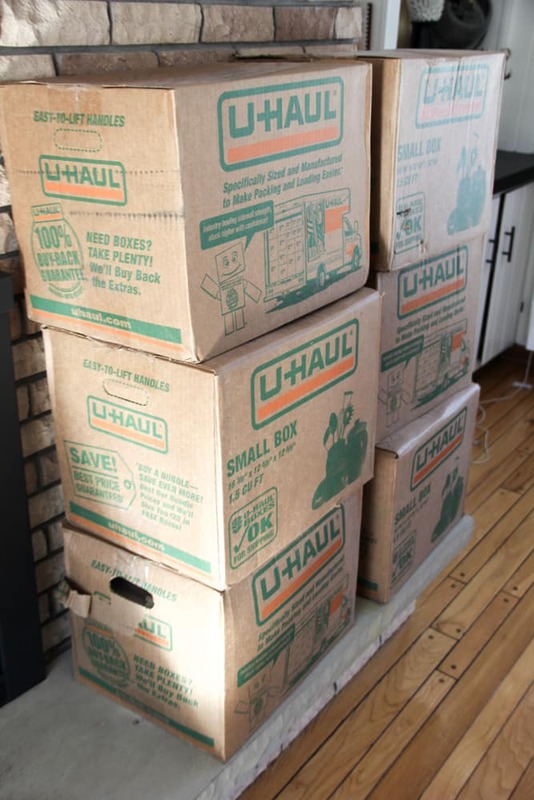 It probably seems frivolous to buy boxes just so that they are all the same size, but when it comes to packing the truck it is SO much easier if all of your boxes are just a few sizes. Under this same category I’ll mention to box EVERYTHING that you can. Even if an item is awkward and takes up an entire box, it will pack easier in a square box than trying to keep it out. Isn’t it worth $100-$200 to protect all of your precious things? I know by experience that McDonalds fry boxes are the exact same size as the small Uhaul boxes, and if you ask your local McD’s to save them for you many will! When it comes to truck loading day, either rent or buy a dolly. Because you have all of those uniform boxes you will be able to stack them 4-5 high and roll them right onto the truck. It also comes in handy for really heavy items. Make sure it’s the last thing that you put into the truck because you’ll need it again to roll those same stacks right back off the truck. This is a tip that I learned late in the game, but it is a game changer. 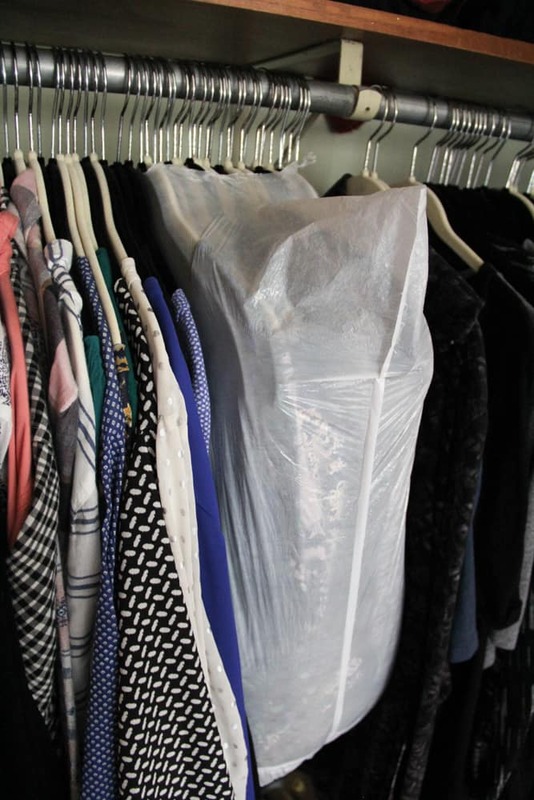 Just get a bunch of garbage bags and put them over all of your hanging clothes with the hangers sticking through. This way any clothes that fall off of hangers will land in the bag. It also makes them easy to carry and move straight into your new closet. This is another spot that it’s worth a few bucks to protect your precious furniture. Most of the time when you rent the truck you can also rent padded drop cloths. This will ensure that you furniture doesn’t get scratched or dinged. 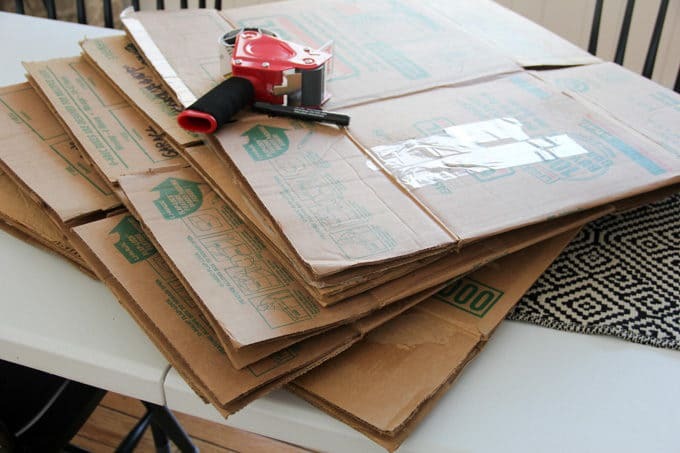 Another trick is to put layers of cardboard between pieces of furniture. This just gives an added layer of protection. We’ve always been SUPER grateful to have friends lend a helping hand, and you want to show them how much you appreciate them. Pre-move grab beer and bottled water and have it cold. Then on moving day order pizza. Your friends will appreciate it, and it doesn’t involve any dishes or cleanup. Then, when your friends have their moving day don’t forget that they were there to help when you needed it! Maybe they’ll even buy you pizza! I’m sure there’s lots of other great moving tips out there, but these are the ones that have always served us well. If you’re moving soon, or if you’ve got a friend who is a habitual mover (like us), I’d love it if you’d share these tips with them! Hopefully they’ll save you time and energy! Thank you for sharing. Know what you can’t pack. Some common household items can’t be shipped because they are hazardous. Don’t wind up on the wrong side of the law. 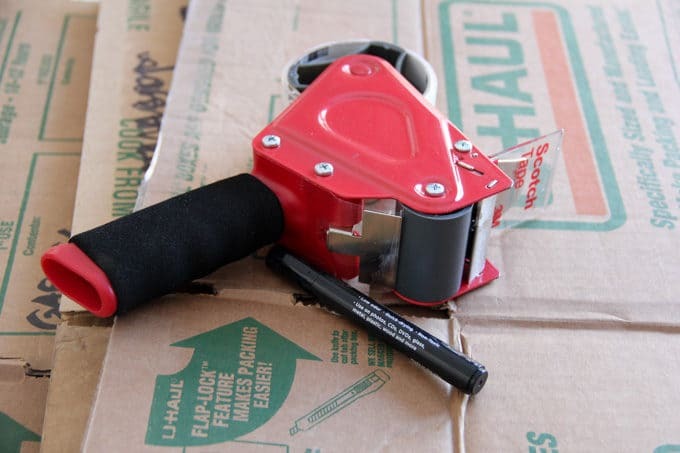 Read our list of what you can’t put on the moving truck.